The Charlottetown Islanders have a tough week of hockey ahead of them, playing three games in four nights with two of those games against teams in the top 4 of the QMJHL. It all starts tonight as they travel across the bridge to take on the Halifax Mooseheads at the Scotiabank Centre. 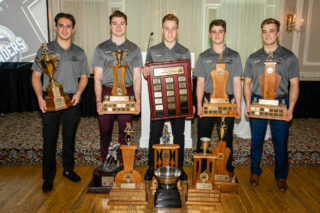 The Memorial Cup host Mooseheads have slowly begun to look more like the team they were expected to be, having won three straight high-scoring games, outscoring opponents by a score of 19-9. Sitting fourth overall in the QMJHL with 75 points, the Moose are just one point behind the Drummondville Voltigeurs for third overall and two points behind the Baie-Comeau Drakkar for second in the league and first in the Eastern Conference. Halifax’s offensive explosion has been led by their top line. Samuel Asselin, Antoine Morand, and Raphael Lavoie have been lights-out for the Mooseheads over the last three games, amassing an astonishing 28 points in that span. Asselin, the reigning QMJHL Player of the Week, accounted for 11 of those points on his own, including six goals. He’s continued an incredible stretch of play for the Moose, having scored goals in seven straight games, tallying eleven goals in that time. 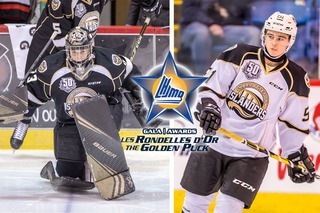 He leads the QMJHL with 40 goals, the first player in the CHL this season to crack that plateau. Charlottetown, meanwhile, will look to rebound from a 6-4 loss over the weekend to the Sherbrooke Phoenix. 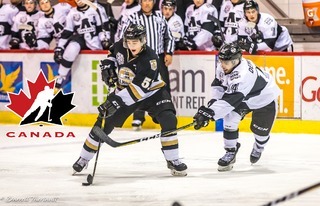 Despite the loss, the Islanders still had a strong week, taking four out of a possible six points with wins coming against the Victoriaville Tigres and Moncton Wildcats. 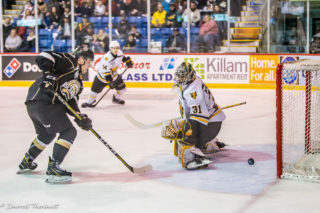 The points keep them close with the Cape Breton Screaming Eagles for fourth in the Eastern Conference, sitting just three points behind their Maritime Division rival with 63 points. 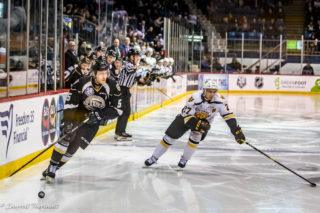 Their win against Moncton on Friday helped them secure a playoff berth, continuing an impressive streak where they have yet to miss the playoffs as the Islanders. The Isles have a player of their own who has had a great stretch of play as of late. Nikita Alexandrov is coming off a weekend that saw him net seven points in three games, including three goals. He’s recorded points in five straight games overall and was named to the QMJHL Team of the Week for his efforts this past weekend. As always, you can tune in to tonight’s game on Fair Isle Ford Isles Radio. Click HERE to catch all of the action!